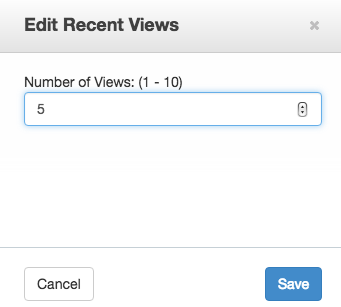 Great simple block, makes it so easy to add user-generated content to a page. This addon Records visitors views in his/her localstorage. 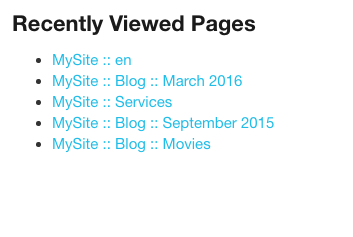 The Recent Views block will display his/her recent views. A sample view is like this. You can set the number of view history in the block config (max: 10). Source codes are also available on github.